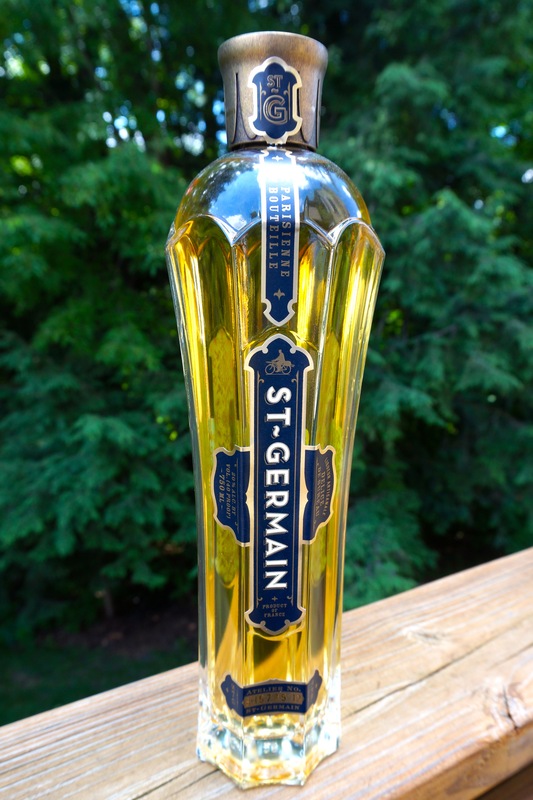 This wonderful elderflower liqueur called St. Germain is one of my favorite drink mixers. The elderflower is a small, white flower that blooms in the spring and summer and is used in many European foods and drinks. In the U.S., I have only seen it in this liqueur. St. Germain is a French company, and the methods used to make it are still artisanal – flowers gathered in the alps, bicycled (yes!) to the store room where the flavors of the blooms are gently extracted. The rest of their process is truly a secret! St. Germain is slightly sweet with its mild floral flavor and compliments martinis, margaritas, and mojitos very well. I use it to tone down a tart pear martini or a lime margarita. 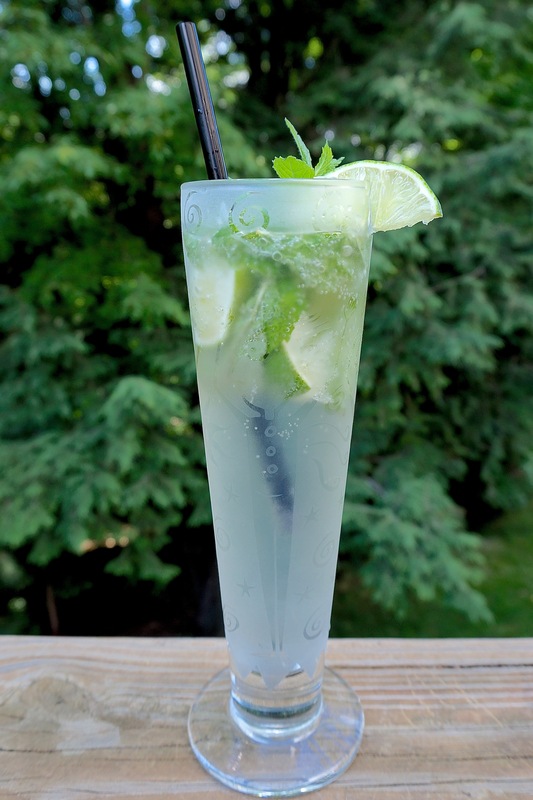 A traditional mojito would use sugar or simple syrup and club soda along with the lime, mint, and rum. But using St. Germain as the sweetener instead produces a divine, subtle, floral, and so very French variation! Perfect for our p.s. bonjour crowd, don’t you think? Luckily, we have all the ingredients from our Summertime Drink Popup Bar on hand. And this is just another reason to grow a kitchen herb garden with at least one mint plant! Add in beautifully etched glassware from the talented Leandra Drumm, and we are ready to create our cocktail. Place lime, mint, and St Germaine in the glass. Muddle together with a muddler or long spoon handle. Add cubed or crushed ice. Pour rum over the ice. Top with La Croix. Stir. 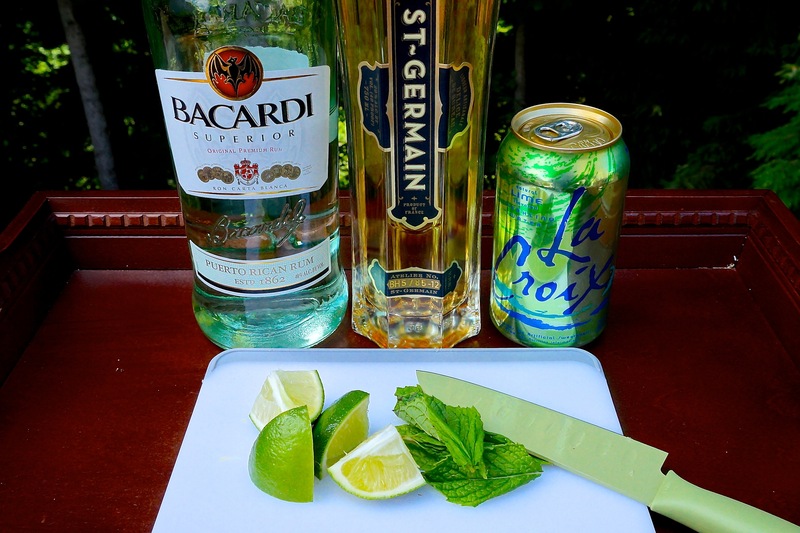 Garnish with a slice of lime and sprig of mint. 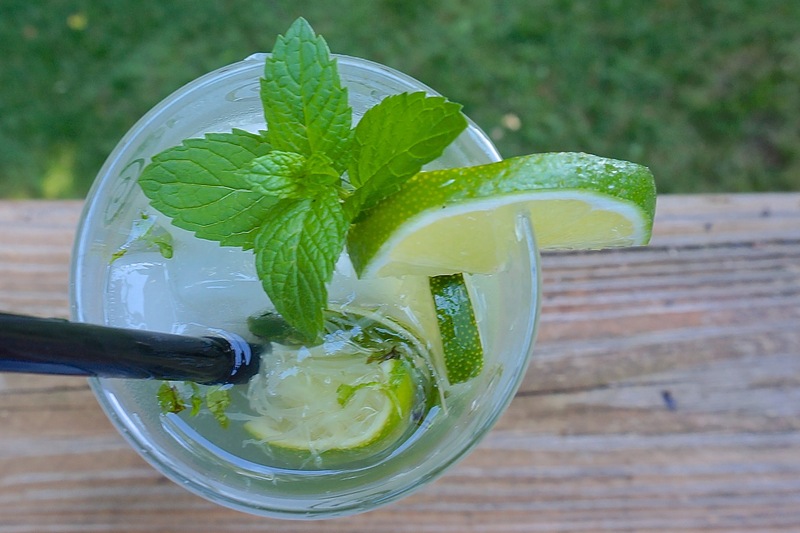 Enjoy your French Mojito! Et voila!